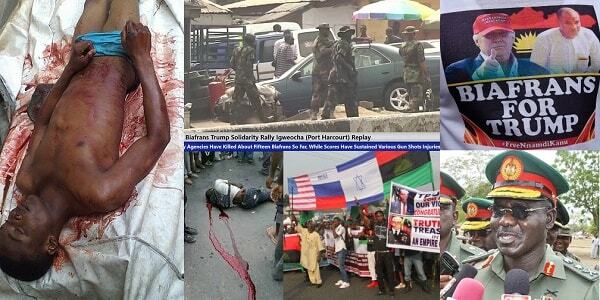 So, while there was joy in the USA, there was blood bath and sadness in Biafra Land. Unfortunately, Donald Trump has made no comment on such a barbaric incident. Furthermore, it is widely reported that Mr Buhari, the President of Nigeria is to visit the White House at the end of April. I wonder why a radical Islamic Jihadist and hater of America, Israel and Biafra could be invited to do in the White House. 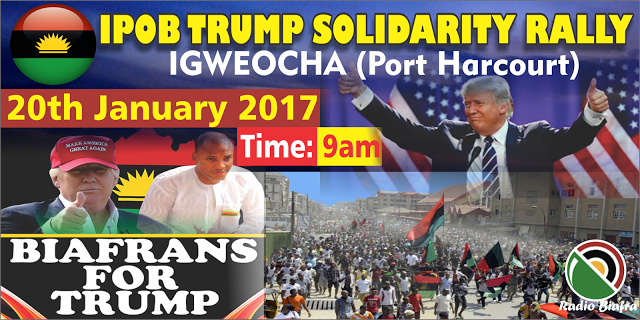 However, the purpose of this visit and what President Trump intend to achieve with such an engagement remains a speculation. We need answers to these questions!